Milestones are timeboxes where you assign cases that need to be done by a particular due date. By default, every instance of Manuscript has an “Undecided” milestone as a catch-all. 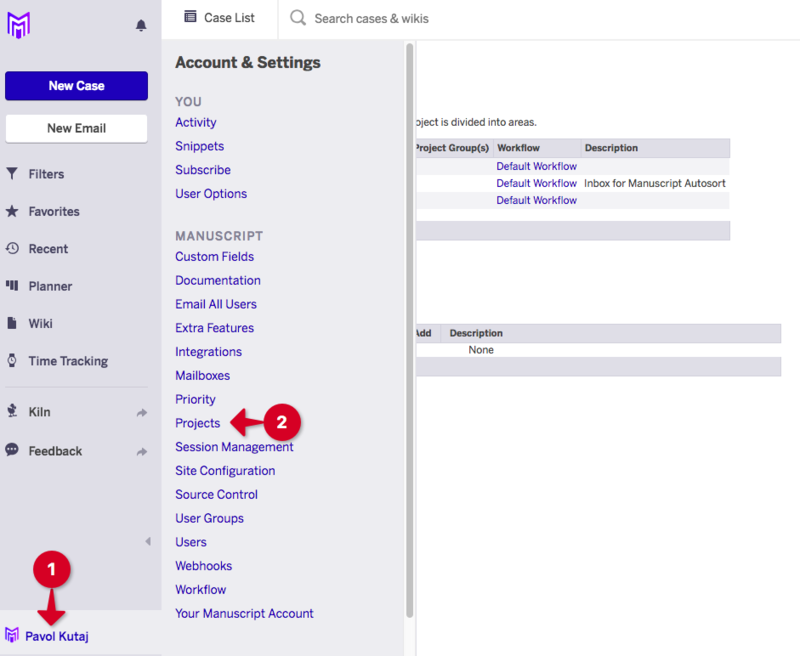 To harness the power of Manuscript, cases should be moved out of this milestone as soon as feasible into an appropriate Project-level milestone. The aim of this document is to provide a step-by-step guide to a creation of such a project-level milestone. Open any Iteration Planner and click Add Milestone. Type the desired name, and hit Enter. You will be presented with more options. Choose the desired project, the start and end dates, and tick the checkbox if this is a Backlog Milestone. 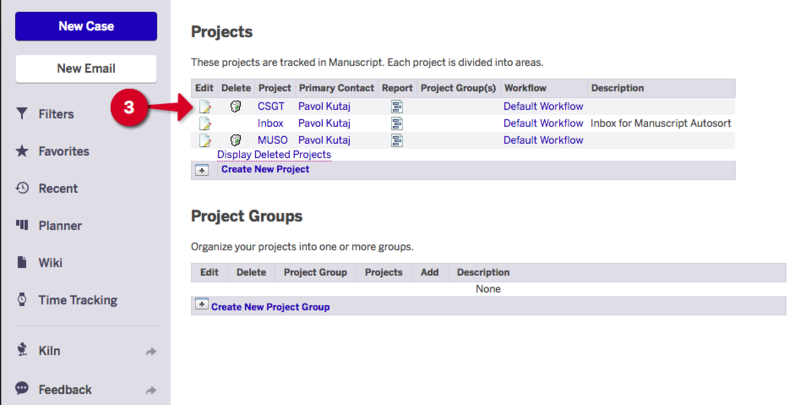 Navigate to the Avatar menu (1) > Projects (2) > click on the selected Project name (3). A project window opens. Scroll down to the section called Milestones (this project) > Click on Create New Milestone. 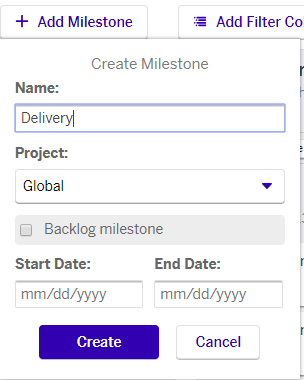 Define the Milestone name > Completion date > Start Date > optionally define Milestone dependency as well as select if the milestone is a Backlog milestone (see below).